Due to some questionable results these past few weeks, Pellegrini’s managerial prowess has come under fire from much of the fanbase. However, this is unjust and he is certainly the man to take us forward. It is worth noting first that yes, he does make some questionable decisions. How Hernandez was benched for the Everton game after his heroics against Huddersfield is baffling. Especially for Lucas Perez (who I was glad to see the back of when it was released he would never play for us again). Also, it’s time for Balbuena to return; he makes Diop better and the fanbase knows it. Ogbonna has been good of late for sure but, with nothing to play for this year, we may as well play the duo we’re likely to move forward with in the future. 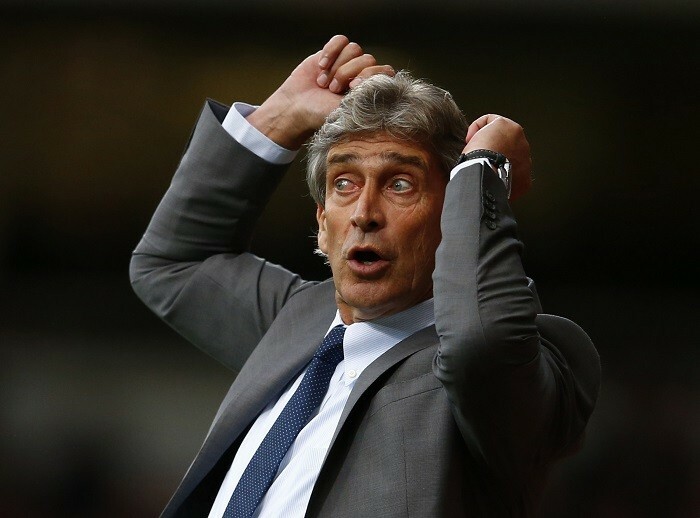 However, the style of Pellegrini when the team are on their game is undeniable. It’s quick, it flows, it’s the West Ham Way. It’s just the case at the minute that the team have nothing to play for and as a result are unmotivated. Part of this is Pellegrini’s fault but he’s hardly a motivational kind of coach filled with passion like Klopp or Guardiola. Also, bear in mind that this is his first season. We’ve gone from a team built by Allardyce, Bilic and Moyes (all of whom don’t play attractive football for the most part) to Pellegrini. It’s going to take time for him to sculpt the squad he wants to play the way he wants. Look at the players that have thrived under him this season: Rice, Anderson, Balbuena, Diop (for the most part) and Fabianski. Only one of these was here prior to his arrival and that is no coincidence. If we become a revolving door of managers like Chelsea or Manchester United, we have no hope of closing the gap to the top six and we will have no identity as a team. It’s a long process for sure but it’ll be worth it. Just look at Wolves with Nuno Esperito Santo, give him a couple of years to craft his team and the benefits are obvious. As soon as we lost to Wimbledon, which yes was embarrassing but was a team easily capable of winning that game, our season was over in terms of trying to win anything. That, combined with the Arnautovic saga, completely derailed our season. As soon as players like Arnautovic are gone and the team has something to play for fortune will follow – and Pellegrini is still the man to lead us.